Thomas D. Nolin, PharmD (’99), PhD (’03), is collaborating with investigators from PittMed and Vanderbilt University on a 5-year NIH grant to evaluate the effectiveness of an electronic health record-based population health management intervention to improve delivery of evidence-based care for patients with high-risk chronic kidney disease. The investigators will conduct a 42-month randomized controlled trial in approximately 1,700 patients. Medication therapy management (MTM) is a critically important aspect of the intervention and will include comprehensive reviews of medication exposures and safety in an effort to optimize medication related outcomes. Nolin will lead the MTM initiatives in all study participants, and he will work closely with his clinical research fellow Melanie Weltman, PharmD (’18) in this capacity. 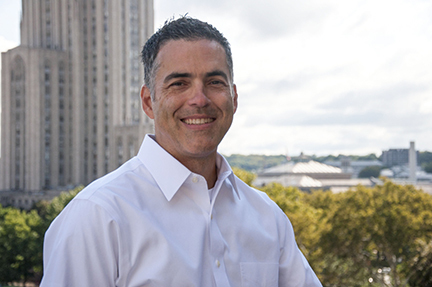 Nolin is Associate Professor in the Department of Pharmacy and Therapeutics at PittPharmacy and holds secondary appointments in the Department of Medicine Renal-Electrolyte Division and in the Clinical and Translational Science Institute.